The centrepiece of our back shop is taken by Our original fitted Victorian kitchen range used for baking pies in this former butchers shop. 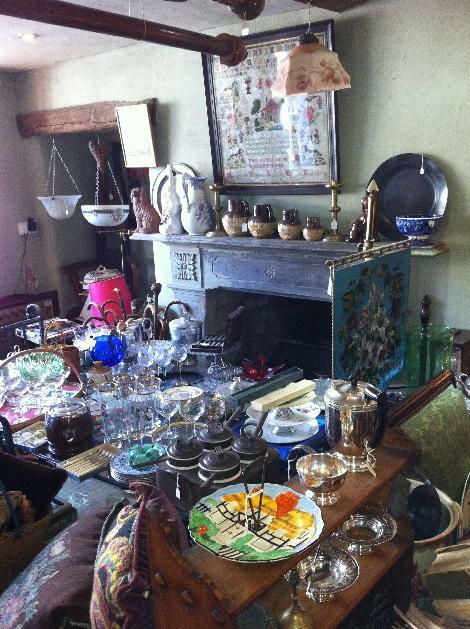 Kitchen Scales, Old Bottles, Stone jars, Victorian Brass fire irons, Cast Iron Hot Water Pot. 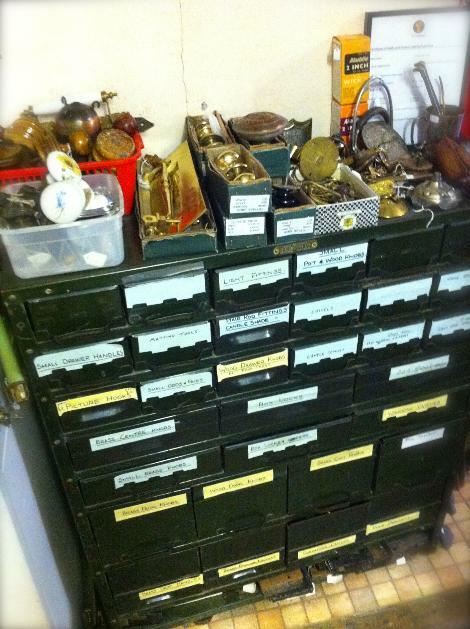 Spares Corner, spares galore with brass door knobs, beehive door knobs, brass coat hooks, picture hooks, letter boxes, pot door knobs, door locks, door keeps, escutchions, curtain pole brackets, brass finials, chair castors. Our linen cupboard full of linen tablecloths, serviettes, tray cloths, pillowcases. Whisky barrel, glass sherry barrel, Victorian drum. We always stock a large selection of Victorian Durham quilts, Edwardian Durham quilts and Victorian patchwork quilts mainly hand stitched these are real pieces of folk art. 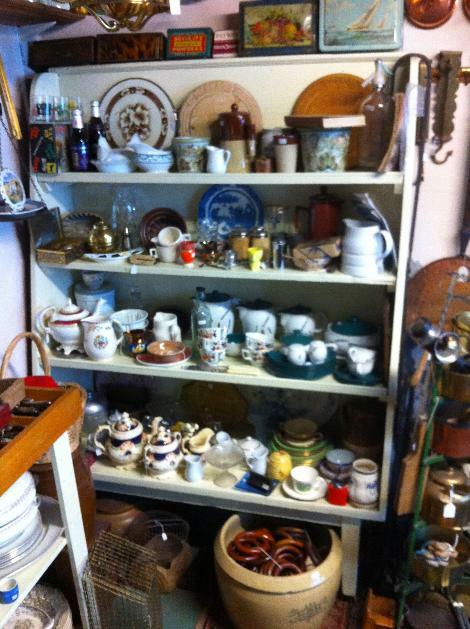 Selection of Antique and Vintage cutlery, china tea sets, Vintage china 1930's light bowls, Vintage glass. 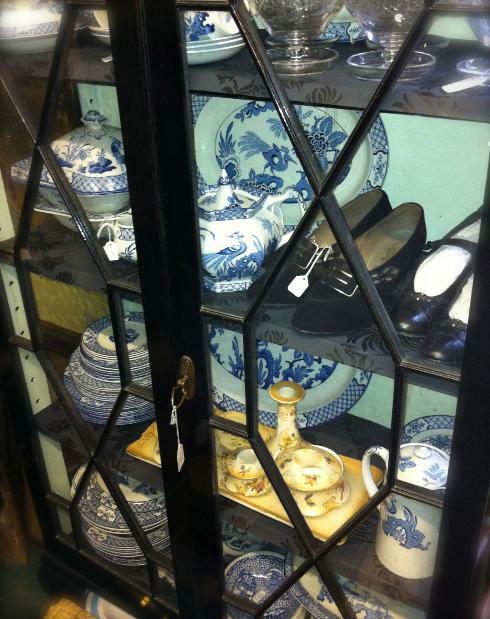 One of the many interesting cabinets in our shop Blue and White pottery, Spode Italian, Tureens, tea pots, dinner plates tea sets Yuan and more. 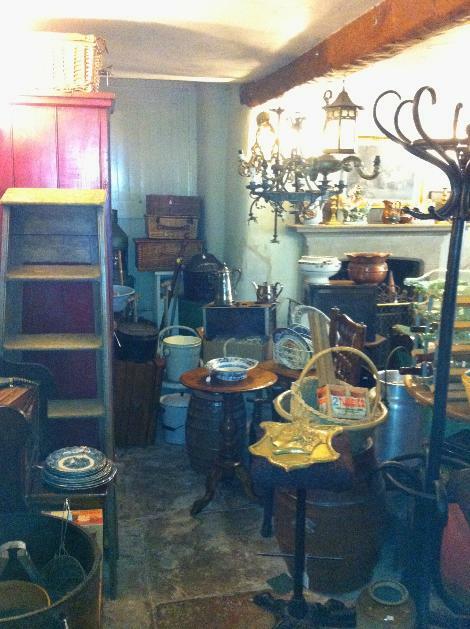 Kitchenalia corner all manner of antique and vintage kitchenware, stone jars, vintage jelly molds, Antique Brass jam pans, Antique copper pans, antique herb choppers, Vintage milk jugs, cream jugs, wicker baskets, Bread pan, antique dinner sets vintage dinner plates. 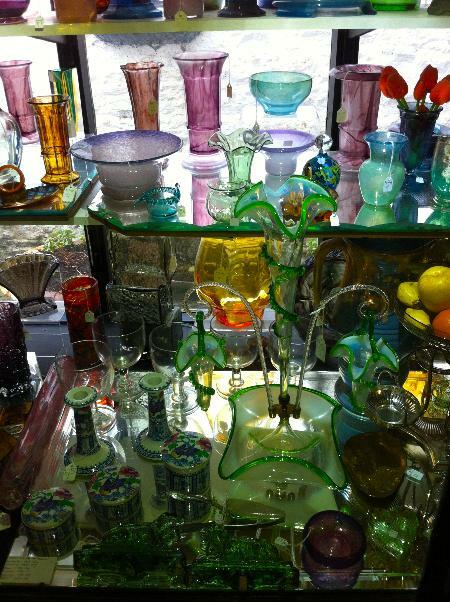 A selection of 1920's to 50's glass and Art Pottery Davidsons Cloud Glass, Bagleigh, Vasart glass, Monart glass, Whitefriars glass, Whitefriars bark vase, Powell glass, Murano glass, Royal Lancastrian pottery, Shelly, Carltonware. 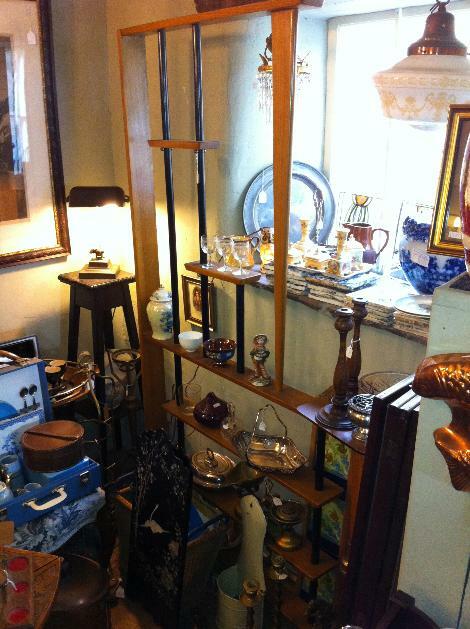 Vintage and Antique glassware, crystal decanters, blue and white pottery, blue and white china, blue and white spode Italian, glass sugar casters, booths pottery. Davidson's Pearline Primrose yellow glass, North East Glass, Sowerby's Pressed Glass, Slag Glass, malachite glass, Victorian Glass, Maling, North East Pottery, Sunderlandware. Champagne Flutes and Saucers, Bristol Blue Glass, Lily of the Valley hand painted glass water jug and Decanter, Wine Glasses. A fantastic set of twelve Victorian cut glass wine glasses priced at £850 Set of six Victorian cut glass wine glasses priced at £465, Victorian champagne flutes. 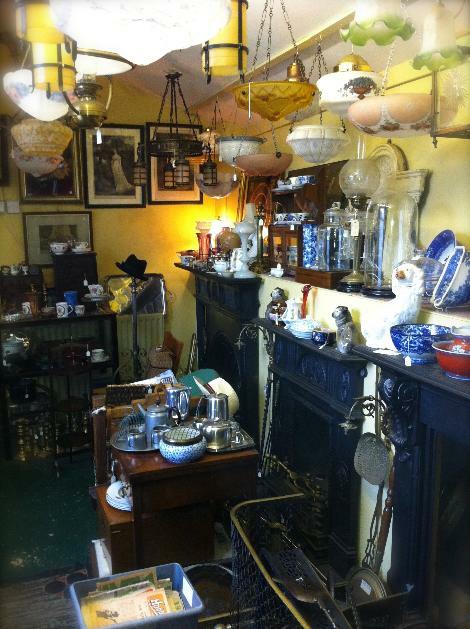 A good selection of antique drinking glasses always in stock. 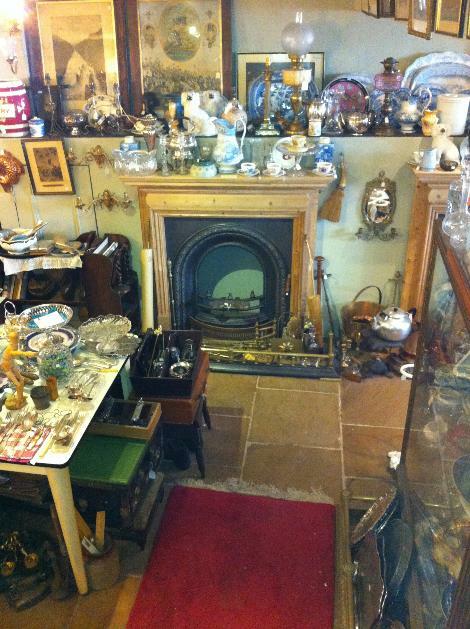 Sunderland Glass Dumps / glass Paperweights / Door Stops, Victorian Glass Lustres, Spode china, Spode tureen, Sunderland end of the day glass dumps. North East Pottery Maling Chinz Jugs and Maling Blue chinz, Maling chinz tea pot, Hot Water Pot, Adams Cobblestone, Cranberry Glass, Cranberry glass vase, Victorian pottery jugs, Royal Doulton. Tea Sets, silver plated coasters, silver plated tankards, electroplated toast Racks. Corner Cupboard, Blue and White, Pottery. A pair of Staffordshire dogs, Silver plated Candelabra, large Victorian copper pan, Antique copper pan, Edwardian child's chair, child's mangle, antique wall lights. 1940's lady's shoes, yuan pottery plates, Yuan dinner set Adams cobblestone small bowls. Antique cast iron fireplaces, Victorian cast iron fireplaces, Edwardian fireplaces, 1930's light fittings, 1930's light bowls, Victorian oil lamps, antique lighting, Antique glass light shades. 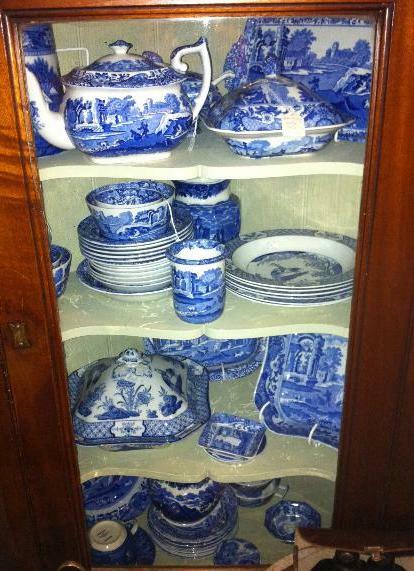 A selection of blue and white pottery Spode, Adams Cobblestone. Silver plated tea set, cut glass decanter, Davidson good companion lamp. A selection of lighting, light bowls, light shades. 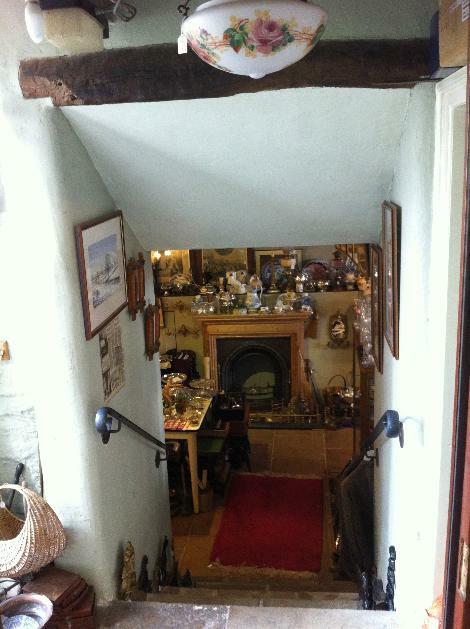 and now down the stone steps in to our lower shop next door a former carriage makers / cobblers and formally in the 1950's the Cavalier cafe a 1950's diner. 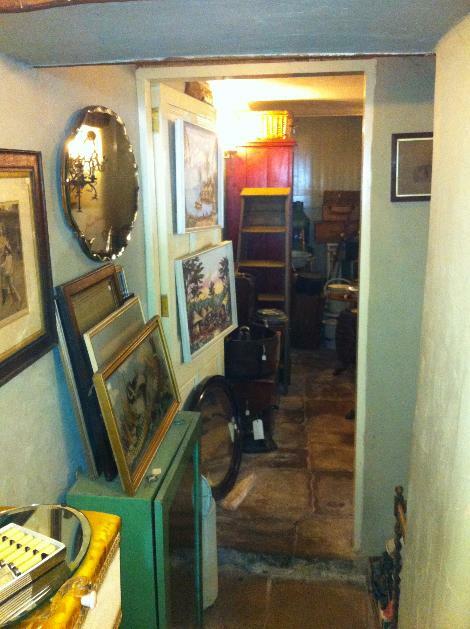 Downstairs we have Victorian cast iron fireplace inserts, pine surrounds, Victorian meat plates, piano sconces, oil lamps, Antique lighting, cast iron fenders, piano stools, Antique brass fenders, Antique brass jam pans. Adams Cattle Scenery, Spode Italian, Abbey. Antique blue and white pottery, Victorian cranberry glass, Crown Devon egg cruet. Victorian chair, 1930's oak letter rack, 1920's pokerwork table, 1930's fan, Antique plant stands, oak plant stands, leather collar box, Victorian toilet bowls, Antique copper fish kettle. Antique silver plated serving cutlery, silver plated sauce ladles, vintage tea sets, vintage china, vintage tea cups and saucers, vintage marbles, vintage glass cake stands, 1950's steel kitchen table. 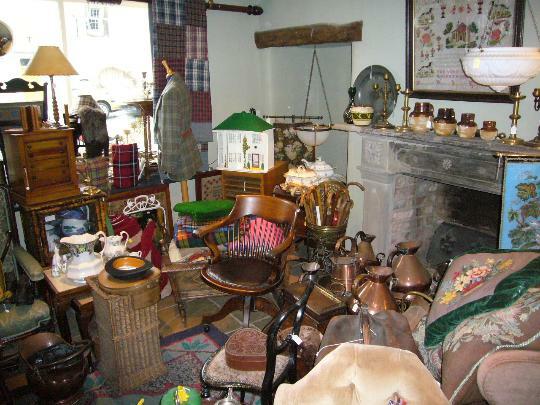 Pine fireplace surrounds, Antique lighting, Victorian oil lamps, pictures, prints, copper kettles, silver plated teapots on stands, cast iron fireplaces, antique cast iron fireplaces, cast iron fire inserts. 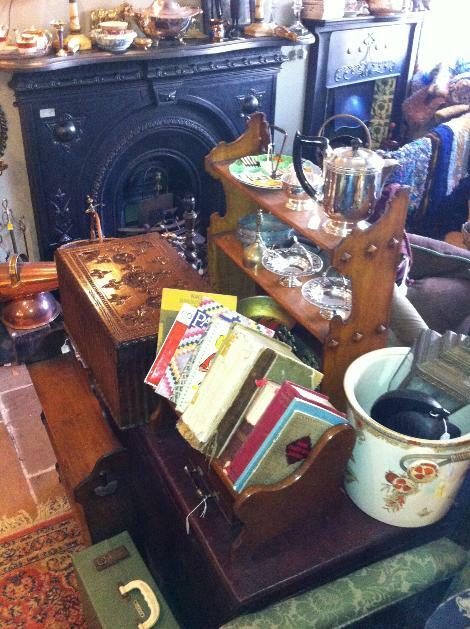 Brass Coal Scuttle, Georgian Pewter Plates, Victorian Beadwork Screen, Victorian armchair. 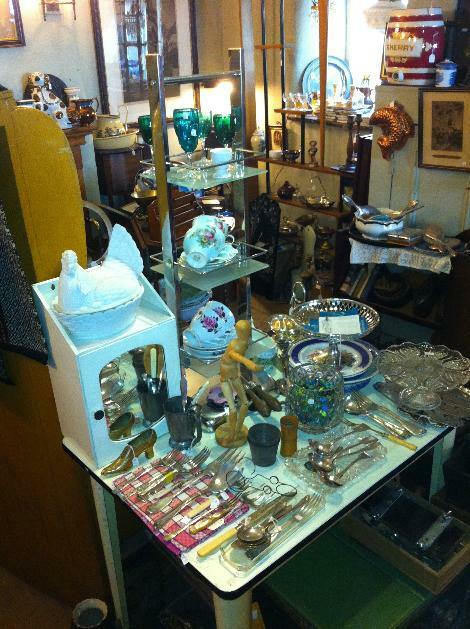 Glassware, Celery Vases, Decanters, Boxes. Adams Cattle Scenery, Spode Italian, Abbey. glove boxes, in oak, rosewood, mahogany. 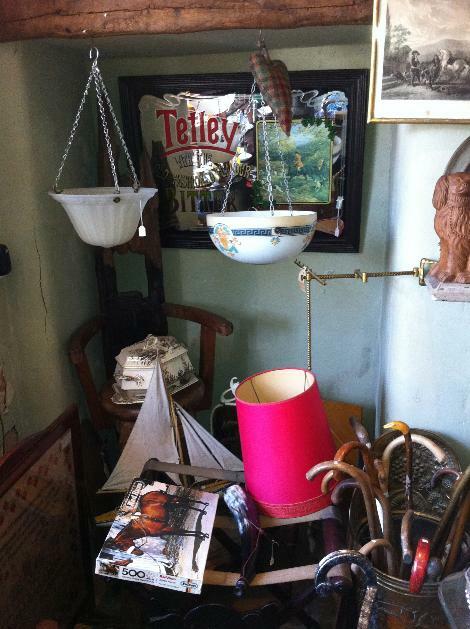 Vintage lighting, Victorian soup tureen, vintage tetley pub sign, vintage yaught, Red Rum jigsaw, Vintage walking sticks. 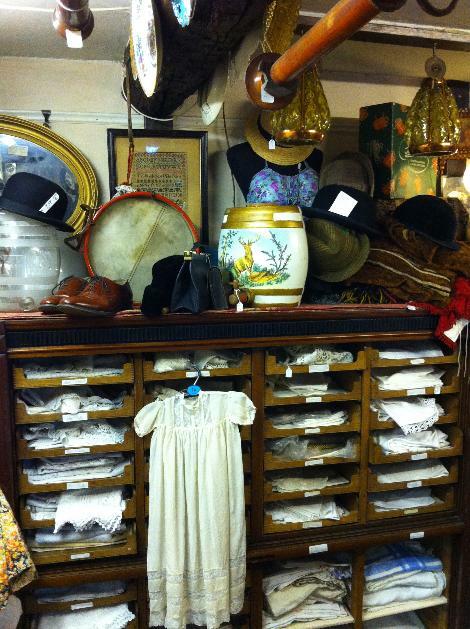 Bamboo Cabinet, Collectors Cabinet, Bowler Hats, Office Chair. Retro 1960's room divider, Antique pewter plates, Victorian tiles, fireplace tiles, silver plated fruit baskets, screens, Antique desk lamp. Antique lighting, 1930's light bowls, antique leather luggage, vintage leather luggage, vintage suitcases, church candlesticks, pewter tankard, flip top sofa, vintage lamps, antique tea tin, vintage boxes. Victorian cast iron fireplace, Art Nouveau fireplace, antique mahogany curtain poles, antique lamps, blue and white meat plates / platters, clippy mats, hookey mats, antique jardinares. 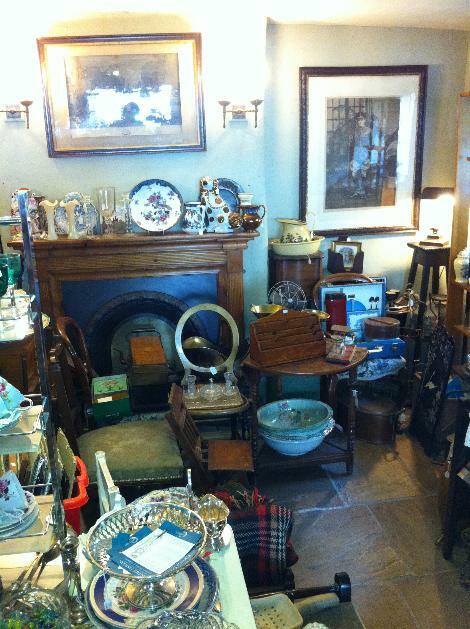 Victorian cast iron fireplaces, Art Nouveau fireplace, Vintage tea ware, Vintage tea sets, silver plated hot water pot, clippy rugs, hooky rugs / mats, copper coal scuttle, traveling chests, vintage book racks, antique mahogany wall shelves. Vintage luggage, Vintage leather suitcases, vintage clippy mats, vintage hooky mats, vintage picnic basket, oak cutlery canteen box. Antique Royal Doulton jugs, vintage glasses, Babycham glasses, Victorian beadwork face screen, 1930's light bowls, Antique pewter platters / plates. Antique brass church candelabra, Maling milk jug, antique woolwork picture, olive wood candlesticks, Victorian milk jugs. 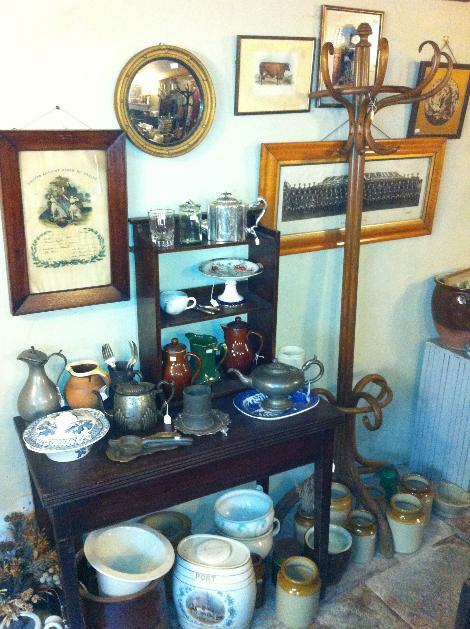 A 1930"s bentwood hat stand, Victorian nursery fireguard, vintage beer bottles, vintage water bottles, a Lancashire kreel, enamel laundry pot, vintage mixing bowls, copper jardiniere, Lloyd loom chairs. Vintage picnic baskets, hat stand, vintage step ladder, vintage baskets, antique lighting, Victorian meat safe, Mahogany side table, brass queen Victoria , Victorian dinner, plates. Victorian kitchen chair, pancheon, Victorian nursery fireguard, Victorian meat safe, victorian dinner set, victorian plates, stone preserve jars, Lloyd loom chair. 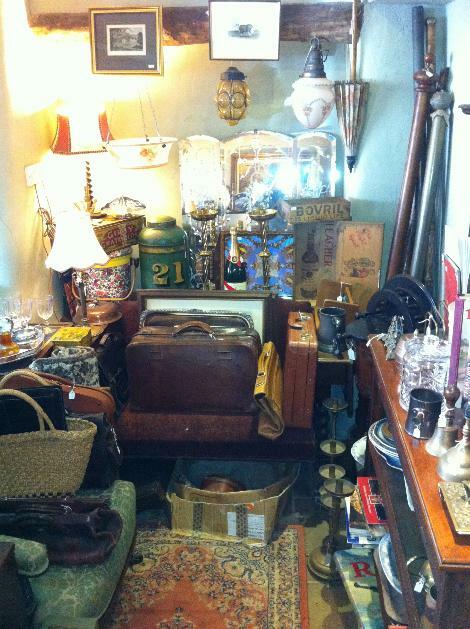 card Tray, stone preserve jars, losol Shanghai comport, Vintage coffee pots, half bentwood hat stand. 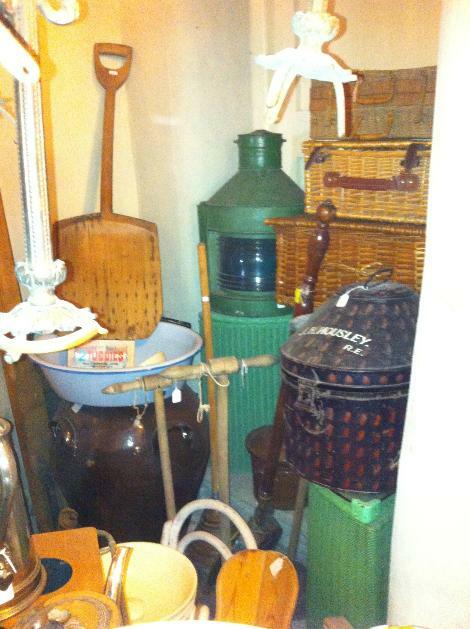 Kitchenaila, vintage glass spirit bottles, stone preserve jars, vintage soda syphon, antique paraffin lamps, an antique brass range fender, Victorian fender. Vintage wicker picnic baskets, copper posser, vintage barge lamp, Antique brass bed pan, bread oven tool, Antique tin hat box, tongue jar, Vintage Lloyd loom furniture. Staffordshire Dogs, Brass Candlesticks, Enamel.